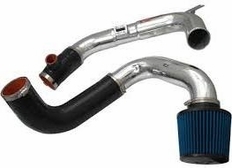 2007-2012 Nissan Sentra Spec V 2.5 Manual Trans Injen Cold Air Intake5Kaz from OhioMarch 29, 2014The product is great. Works great. Had to make minor modifications and fabrications to get to fit properly. The part number on this item is SP1968P (or SP1968BLK) and it fits 2007-2012 Nissan Sentra Spec V 2.5 manual transmission models.